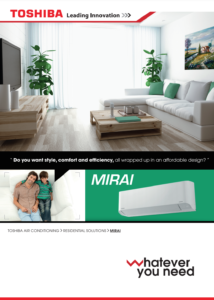 Toshiba Air Conditioning has published a new suite of brochures with up-to-date information on its latest R32 refrigerant-based Mirai, Shorai & Daiseikai residential air conditioning systems, as well as the full range of Digital Inverter and Super Digital Inverter light commercial split system range. Toshiba Air Conditioning UK is a part of UTC Climate, Controls & Security, a unit of United Technologies Corp. (NYSE: UTX). 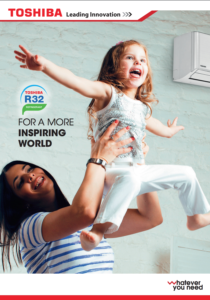 The publications follow the recent move to R32 refrigerant, and set out the benefits for end users and the environment. Two info-graphics illustrate the properties of the refrigerant and its improved environmental performance. 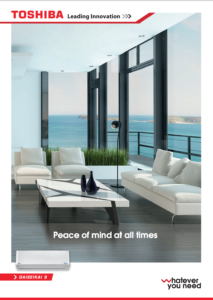 The new brochures can be downloaded from the website via the following links.